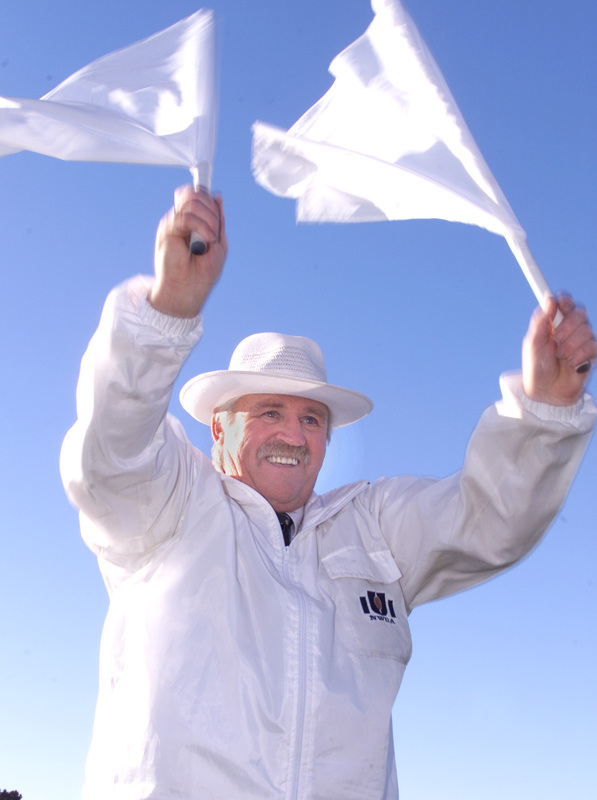 Wayne Youd is a stalwart of Tasmanian umpiring who has controlled more than 1,500 games of football as umpire, umpire coach or observer at all levels of the game. As he enters his fortieth year of active involvement in the game his motivation knows no bounds. One of his proudest achievements is the development of his son, Ricky Youd, into a 20-year veteran of umpiring also. Young Ricky was a potential draftee playing for Cooee prior to a motor vehicle accident which left him with severe impairment and nearly took his life. Additionally, Youd’s three grandchildren are now all blowing the whistle or waving the flags as they follow in his footsteps. Renowned as a footballer’s umpire with a strong understanding of the game, Wayne Youd names amongst his favourite memories the 1979 intrastate clash between the TFL and NWFU at North Hobart Oval. As the controlling field umpire, Youd paid a controversial free kick against the NWFU’s renowned defender, Vin Waite, which gave the peerless Peter Hudson the opportunity to kick the game-winning goal. During the after-match Youd was confronted by the colourful Vin Waite and he broke the awkward silence by grabbing a chair and standing on it to face off with the colossus, much to everyone’s delight.